Little over a year ago, the Inventor Prize was launched as part of the Industrial Strategy, in order to find Britain’s grassroots and garden shed inventors. 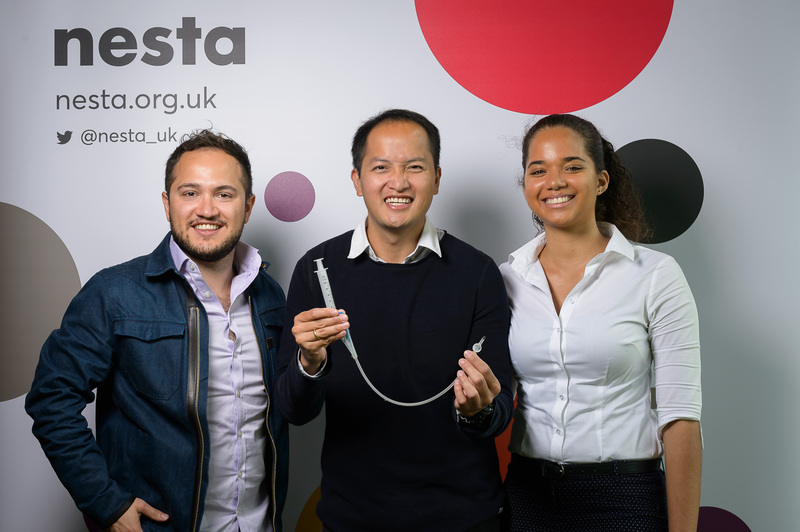 Today innovation foundation Nesta, supported by the Department for Business, Energy and Industrial Strategy (BEIS), has announced its overall winner and two recognition awards, from their ten shortlisted finalists. The awardees will receive £50,000, £15,000 and £5,000 respectively, to help get their product to market. The overall winner has been selected as Guilem Singla Buxarrais and Dimitris Athanasiou, co-founders of Neurofenix, who invented the Neuroball, which encourages stroke survivors to engage in rehabilitation exercises through competitive and collaborative training. The device allows stroke survivors to perform exercises to improve dexterity in the hand and arm. 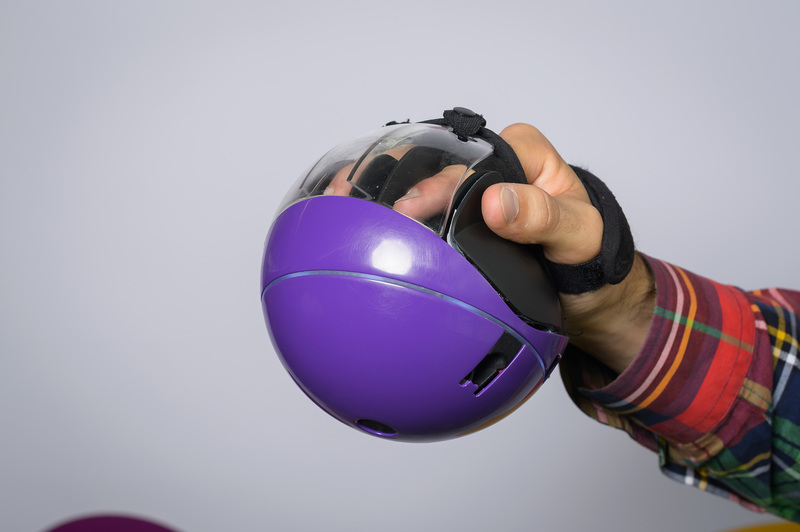 The Neuroball connects to an online platform, allowing users to play games of increasing complexity throughout the recovery process. Buxarrais and Athanasiou were driven to develop the device after they both experienced stroke within their families. There are 1.2 million stroke survivors in the UK, with around 100,000 strokes occurring every year. However, many stroke survivors find the existing rehabilitation exercises repetitive and monotonous. By offering a series of online games for stroke survivors to play during their rehabilitation, the device keeps users engaged in their training leading to better results. “We are so excited to be selected as the winners of the Inventor Prize, from the nine other brilliant and inspiring entrepreneurs. “We were driven to develop the device after experiencing strokes within our families. We experienced the impact that stroke has in the life of a survivor and their family. In an instant and without notice, you can have a stroke and your life changes forever. It’s devastating. “We have co-created the Neuroball with survivors, their families and physiotherapists from initial conception. The Neuroball will transform rehabilitation from a lonely, expensive experience to a fun and social journey to recovery. Our long-term goal is to provide affordable and engaging rehabilitation to every person who suffers a stroke, worldwide. And we are launching in the UK next week! Cambridge-based Urologic, led by Nawar Al-Zebar, received the £15,000 second prize for their NuCath catheter device. The catheter uses smart materials to replace the standard Foley catheter whose design has barely changed since it was first developed in the 1930s. Infections from standard catheters affect 500,000 people every year in the UK and are estimated to cost the NHS around £2 billion annually. The NuCath device is easier to use and could reduce infections by up to 50%, meaning a huge potential saving to the NHS. Ed Rogers from Bristol Braille Technology CIC received the £5,000 third prize for the Canute 360 Braille e-reader. 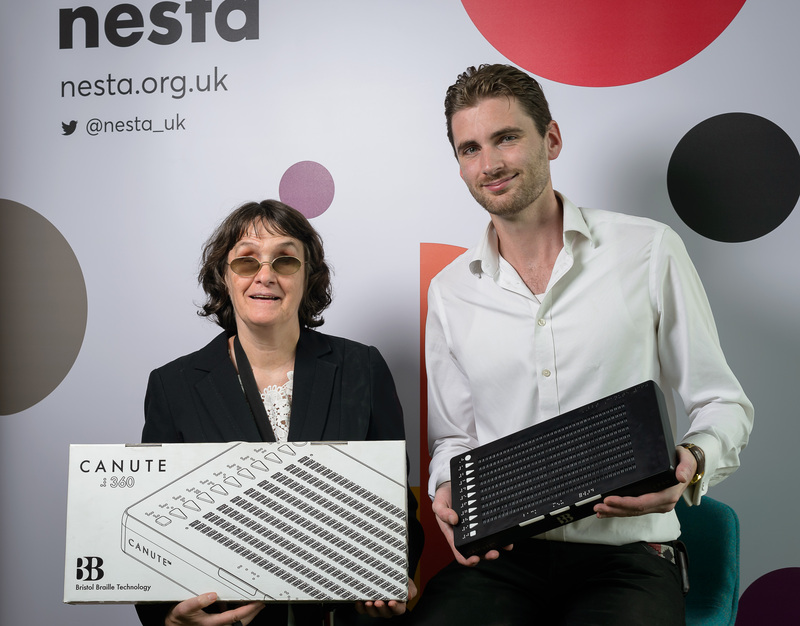 Unlike existing Braille readers, the Canute device offers a multi-line display, meaning it can be used to read mathematical formulas and tables in textbooks, as well as musical scores. Books can be added by SD cards or USB, essentially making it a Kindle for Braille users. The Inventor Prize was launched in August 2017 after first being announced in the Industrial Strategy Green Paper in January 2017. Since then it has uncovered ten stand-out ideas that could transform the lives of people throughout the UK, ranging from a 3D-printed prosthetic arm for babies and toddlers to a smart gumshield that could save athletes’ lives. Each finalist received £5,000 and bespoke mentoring from Barclays Eagle Labs to develop their ideas further. “From researchers in life-saving meds to start-ups in garden sheds, we are home to some of the greatest minds in the world delivering cutting-edge inventions to improve lives. I am proud to see three of the best being recognised through the Inventor Prize. NextWould you use a dedicated product guide?